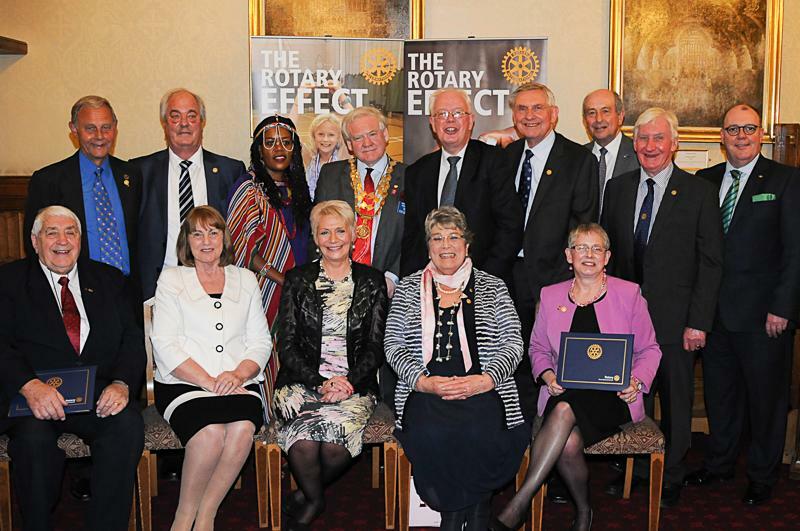 Each Rotarian honoured in this way, was asked to attand an award ceremony accompanied by their Member of Parliament. 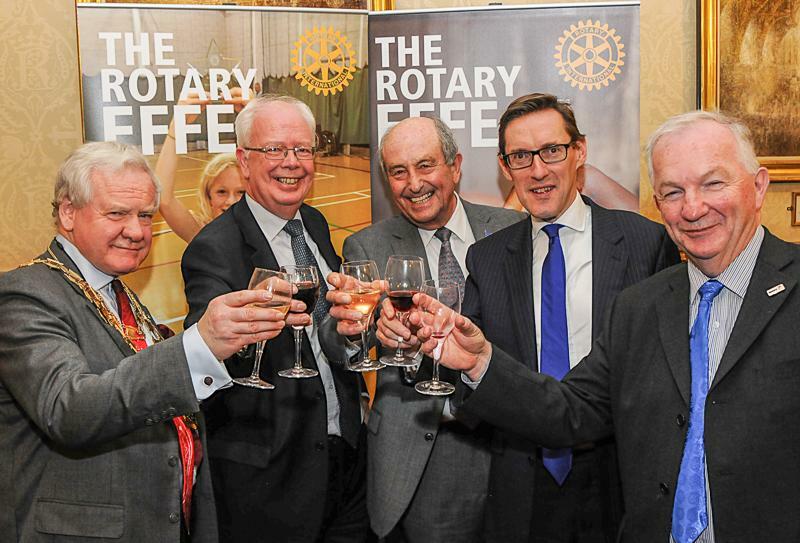 In Tony's case, our Chief Minister Senator Ian Gorst was able to re-arrange his diary and join him at the Houses of Parliament for the occasion. 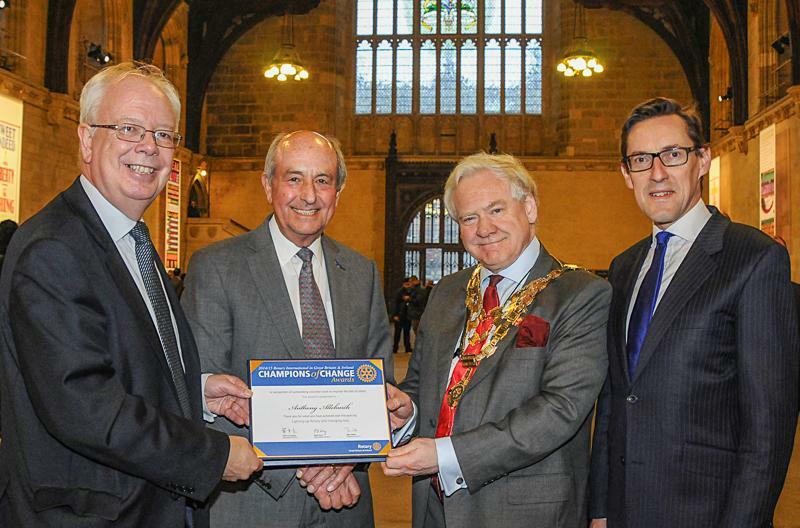 Thank you Senator for your support. 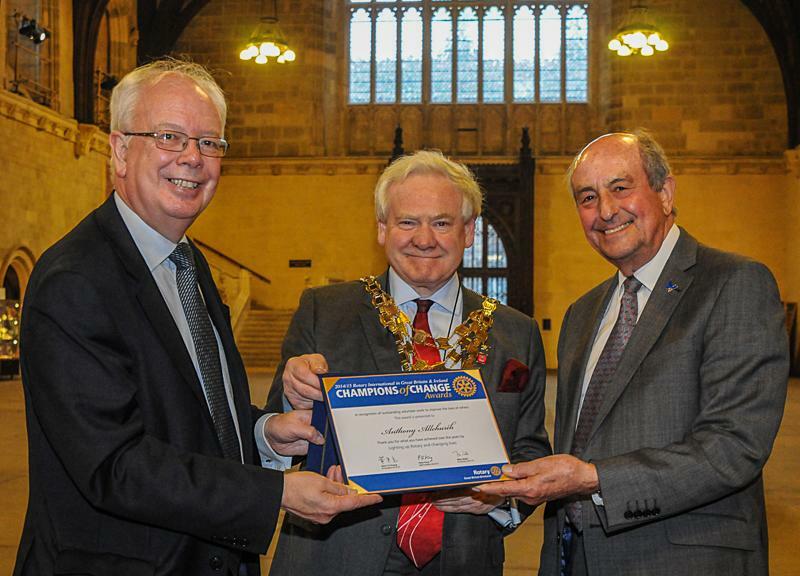 Abolition of child slavery and toddlers begging in the streets, local and international peace, health and education — all were topics being tackled by this year’s Champions of Change. 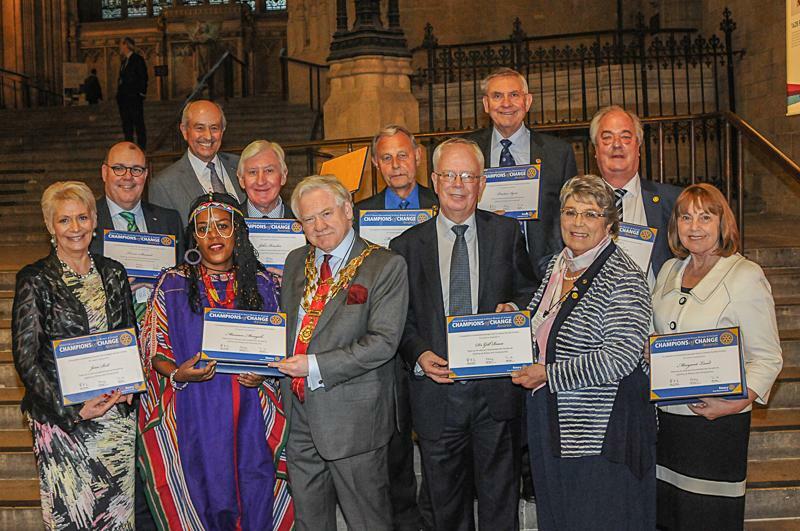 At the second Champions of Change award ceremony twelve deserving Rotarians were honoured during a prestigious ceremony at the House of Lords. 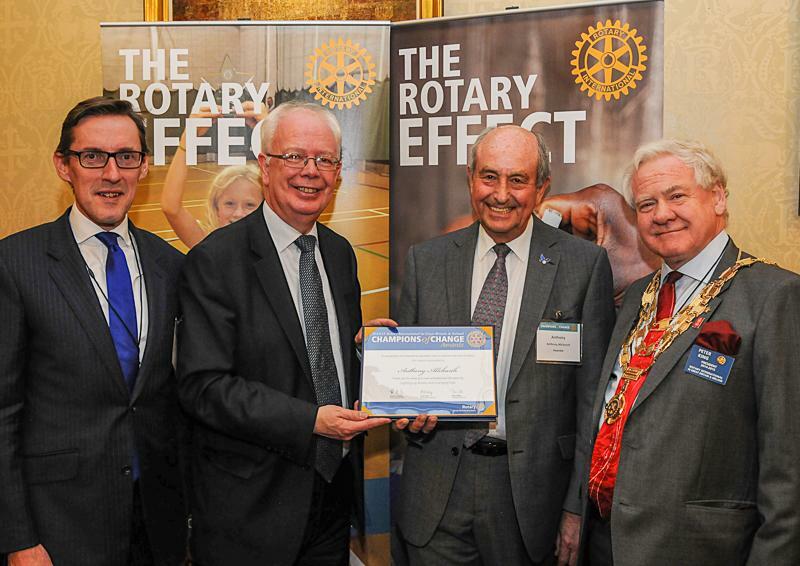 Rt Hon Lord Wallace of Tankerness hosted the event, and he described Rotary as “a great movement” and that he had been very humbled to see the achievements of the awardees. 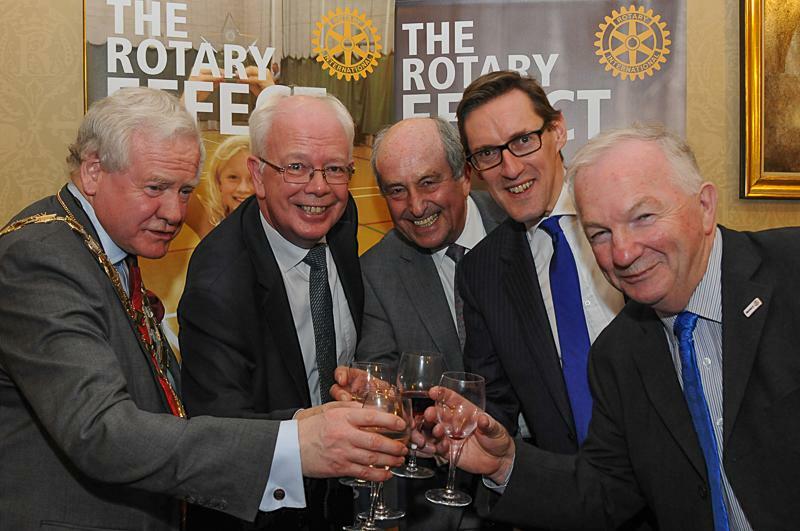 Rotary President for Great Britain and Ireland, Peter King, described the event as a celebration of how Rotarians change lives and an opportunity to network with other non-profits, businesses and parliamentarians.